Mattress cleaning is considered among the toughest cleaning service in the carpet cleaning service industry. Our mattresses get the most amount of use per square foot compared to anything else in your household. Moreover, most of us spend at least 6 hours everyday resting our body and mind on our mattress. In addition, while we hibernate, our body releases natural sweat and leaves dead skin on the mattress. Your dead skin attracts bed bugs and other fungi. Therefore, with time you notice some change in colors of your mattress, while in some cases it even starts to smell. So, the fastest and most affordable way to deal with it is by scheduling a mattress cleaning. 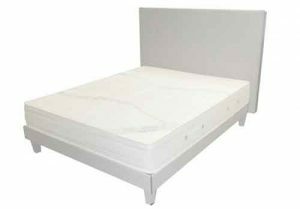 Now that you have decided to get mattress cleaning, our job is to penetrate deep into your mattress disinfect and remove all unwanted dirt and pesticides from inside your mattress. This is not an easy task, especially when we are talking about a 10 Inches plus mattress.The main idea in mattress cleaning is to be able to go deep inside your mattress and clean in from within. However, it is very difficult to do so without getting the ,mattress drenched and ruin it even more. Dr. Carpet Anaheim has served mattress cleaning solutions for over a decade. We use biodegradable mattress cleaning products in order to keep your health on. In addition, we have the exact tools and years of experience in mattress cleaning. That allows us to reach deep into your mattress and extract all the dirt and bacteria out.In addition, we serve many customers with mattress cleaning needs of urine stains and other bodily fluids. It is very important you treat yourself and your mattress right. Mattresses are very expensive and important to our well being. Therefore, our mattress cleaning service will save you money and make your night sleep so much more comfortable.For more information about our mattress cleaning Anaheim, please contact Dr. Carpet Anaheim.